When learning to draw it’s imperative that you are able to draw objects the correct size. Without correct proportions, no amount of shading will make your disproportional drawing look good. When artists speak of proportions they are referring to the size relationships between objects and even the sub-parts of objects. Often considered one of the hardest things to draw, the art of portraiture presents many challenges when attempting to draw with accuracy. While a portrait artist is drawing accurate proportions of a human face she is trying to make sure that the facial features are not too big or too small compared to the rest of the face and that each feature is in the correct location. Drawing correct proportions in a portrait is no easy feat however, artists drawing any subject matter typically are going to have to think about the size relationships between the objects they are drawing. As a result, this means thoroughly planning out the proportioning of their artwork from the very beginning. If you desire to draw proportions correctly this will require some visual measuring based on keen observations and some extremely simple arithmetic. Drawing accurately begins with seeing accurately. As an artist learning to draw, you must train your eyes to see accurate proportions within your given subject matter. 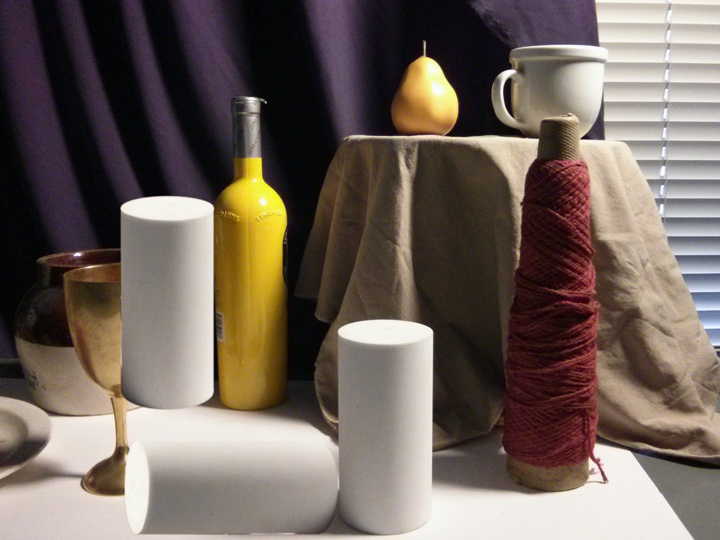 This is usually easiest to learn with a still life due to its simplicity and stationary nature. This is precisely why I recommend artistic newcomers work from still life setups when learning to draw. There is much that can be learned while mitigating frustration. The next time you try to draw something (preferably a still life) take one simple object and assign it as your reference object. 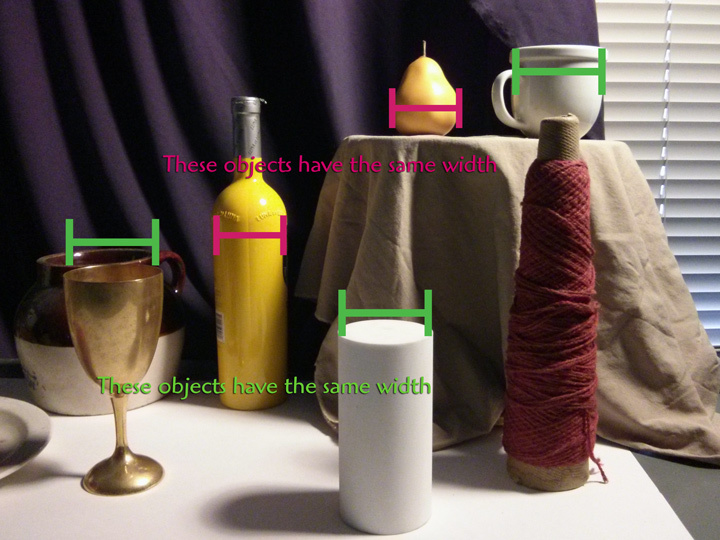 This reference object will be the object you visually measure all other objects against. Choose a reference object that is geometric in form and is not exceedingly larger or smaller than the average size of the other objects you’ll be attempting to draw. Next, you must ask yourself many questions about the sizes and locations of the other objects as compared to this reference object. It’s important to quantify your findings; in other words, please assign a number to any of your comparisons. This is where art makes a strong connection to math, fractions and percentages to be specific. Look at the photograph of the still life below and pretend you are just about to draw this still life. Now that you have seen the still life set up lets take a peek into an artist’s mind to gain some insight into how they would start making important observations regarding this setup’s proportions. Take a look at this next photo accompanied by an artist’s comparative findings listed underneath the photo. You see? 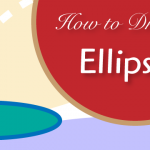 Learning to draw is not that difficult you just have learn how to examine things correctly. We just examined the heights of still life objects as compared to our reference object – the white cylinder. Next we’ll use the same technique of visually proportioning out the widths of our objects. We just discovered how to proportion a drawing in terms of how tall each object is (heights). Now consider how wide each object is. Using the same cylinder for our reference object we can figure out how wide each object is. Do you see any objects that appear to be the same width? Look at the photograph of the still life again and you’ll notice some if the important findings listed below. You probably noticed that our comparison between the yellow bottle and the pair ignored our reference object (white cylinder). This was a rather obvious comparison and should not have been overlooked. The lesson here is this. While it’s important to begin with a reference object, you have to also look for other means of comparing your drawing’s proportions as well. Keep an open mind for comparing many things at once. Defining the heights and widths of objects is very important but drawing proportions correctly will also require you to pay attention to the spaces between objects as well! Don’t forget to visually measure out the spaces between objects. You can do this by using the same measuring logic we used previously when we determined the proportional heights and widths of each object. Scroll up and take a look at the original still life at the start of this post one last time; let’s make a few discoveries regarding correctly proportioning the positions of each object and accounting for the spaces in between. How big are the spaces in between each object? Is one object positioned higher or lower than another? Be specific when you try to answer these questions and make as many discoveries as possible. The center of the golden chalice is precisely one cylinder height away from the cylinder itself. One cylinder width fits from the left side of the yellow bottle to the center of the golden chalice. Hopefully the superimposed cylinder really gave you an idea of the examination required by an artist when accurately drawing subject matter. When you start a drawing take some time to really compare the proportions of each object. 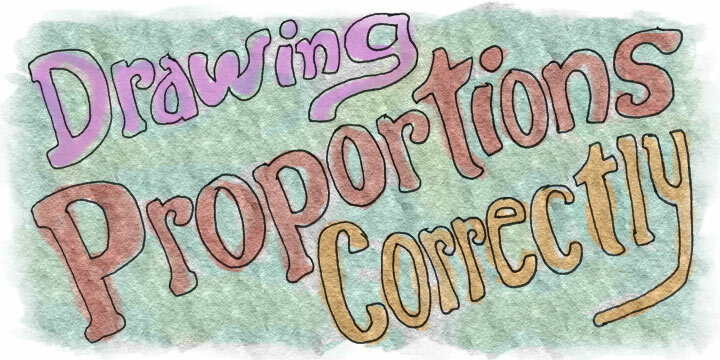 Drawing proportions correctly is a slow and meticulous process, especially if you are a beginner artist. You should indicate with temporary, light marks how tall objects are, how wide they are, and where they are correctly located in your drawing. Thinking in terms of simple geometric shapes such as rectangles can be helpful. Compare as many objects as you can in your drawing, in fact it can also be helpful to choose another reference object and use it to double check all of your original measurements. We used the white cylinder as a means for most of our comparisons so far, but that is really just the beginning. 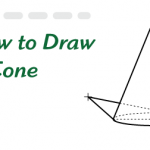 We could, for example, re-measure using the pear as our reference object in order to double check the accuracy of the proportions in our drawing. The more analytical you can be in your initial observations the fewer fixes you’ll have to make in your drawing later on. Most of us want to jump right into the actual shading and get down to details, and I also feel the urge to do this. However, your artwork will come out much more accurately and you’ll have far less aggravation fixing mistakes later on if you take the time to draw your proportions correctly from the start. You should always be visually comparing/measuring objects as they appear to you in real life. This means some objects will be farther away then others. This will cause these objects to look smaller and should be drawn smaller as well. How small? Measure it! Don’t pick up objects and measure them with a ruler. That’s a pointless effort because objects appear to change size depending of where they are located in proximity to the viewer. In other words, the same sized object should be drawn smaller if it is farther away from you. Measure using your eyes and hold up a pencil at an arms length away from your face, shut one eye and use the pencil as a visual measuring device. You can position the end of the pencil visually on one edge of what you are measuring and slide your thumb down to the mark the other edge of an object. Then, with your finders in the same spot on the pencil you can move the pencil around in your field of vision to compare other objects to the one you just measured. Did this post help you? I’d love to hear your feedback. Please leave a comment below! That was really helpful! I always had a big problem with proportions. Actually I was looking for a book that can help me improve my drawing proportions. Any recommendations? I’m glad Mimo. You know what…I can’t think of any good books on learning about drawing proportions. Sorry. I’ve always simply measured things out using one eye closed and a pencil. I’m looking at my art book collection and I don’t have all too many “how-to” books at all! Maybe another reader can make recommendations? Thank you for your wonderful blog post on proportion in still life! 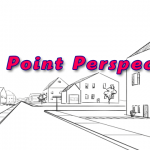 It was so helpful – explained so clearly and with great visuals! I have another request continuing on the subject of still life. 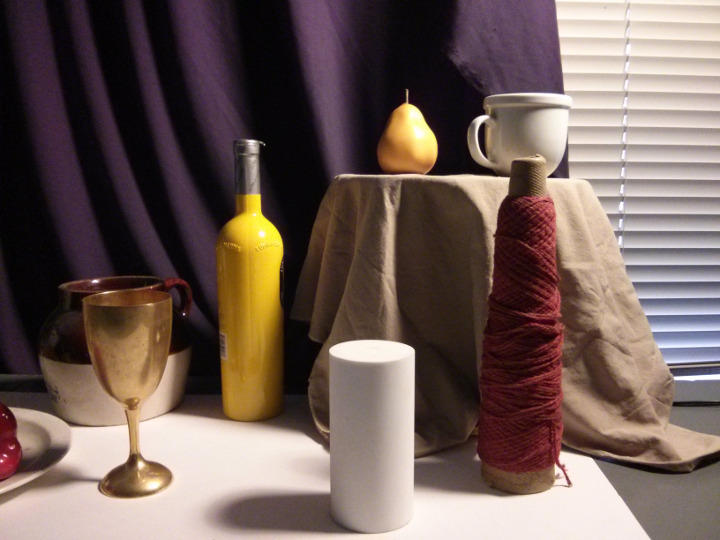 When your time permits, could you please create a post dealing with the proximity of the still life setup from the artist. How close or far away should the still life subject (setup) be from the artist while drawing? Very many thanks for creating this site and your generosity in sharing your expertise and knowledge! Gabriella, I usually sit 3 – 6 feet away from a still life. Basically, I position myself closer when the set up is smaller or when I need to work on details. I tend to get a farther view of the still life when working out the composition (initial stages). As long as I stay in the same line of sight to the set up I don’t mind moving forward and backward a bit during the drawing/painting process. Farther to get the “whole” view and closer to see details. One thing I might add though… when working on a larger still life the closer you are positioned to it, the more movement / compositional distortions you’ll get. This has to do with a phenomenon known as parallax. While up close a slight shift in your head from side to side will yield larger movements between the foreground and background objects. So again, when taking it all in and trying to compose…I sit farther away. But, I’ll move closer when trying to get the details correct for each individual object. Thank you so much for the prompt response! This is so helpful and makes total sense! Hi Mikaella, I’ve got some stuff around the site on realistic shading just look around. You can start with this article: http://helloartsy.com/how-to-draw-a-cylinder/ … and then click through some of the “related articles” near the bottom. If you are drawing what you see, then why move in to draw details that can’t presumably be seen from where you are? Isn’t it more accurate not to put details in that can only be seen closer up and a distortion of what you are drawing if you put them in? Good Question. Not necessarily. I need to move in to make sense of what I’m looking at. Too many forms seem to connect from a distance when they simply do not in real life. Also, if I didn’t observe from up close once and a while so many areas would be blurry because that’s how I’m seeing them. If I render many of the details as accurately as I can, then they will read correctly from a distance to the viewer (whom is viewing the artwork from a distance). I also like artwork to have some appeal at close range. If I was painting a billboard, no I wouldn’t bother zooming in on some details. I imagine artists with poorer eyesight than mine would have to spend even more time observing close up getting to know and make sense of the subject matter. – hope this helps… it’s a bit tricky to explain! I know this advice would go against what people like Richard Schmid and that whole crew would advise, but there’s many philosophies in art making. I’m just one voice in many. I saw that you didn’t mention measuring the proportion between the height and the width of the refference object. Is that something to take into consideration? Absolutely Enis, in fact the more relationships you can cross-reference the better! The pointers at the end are gold. Thank you so much for creating these images. They are perfect for teaching beginning still life drawing. Thanks Jennifer, that still life I used in this post is from one of my classroom drawing & painting classes! 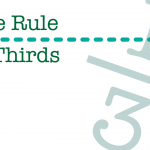 This was an excellent article with clear reference materials. The explanations went along with the appropriately marked references. I’m so glad I found this article and will share with other artist friends. Thank you! Thanks bery much for your time in writing this. I’m finding many of your posts helpful because I haven’t had formal classes or training. For some reason, in reading this, it really clicked with me as to why everyone does the still life drawings and says to practice so much. obviously practice is good, but it clicked that socifically this is why… practice with calculating lroportions over and over will make it more second-nature. 🙂 (duh! Haha!) Thanks again. This is one of my reasons for writing these articles Karen. Thanks for your kind words! How do you measure 1.75? Or 3.00? Everytime I “speed measure” the accuracy seems off it’s really frustrating. I can’t seem to do it on point. I have to use Lazy Nezumi Pro’s Ruler to double check my measure to be on point. I was hoping to be less reliant on Lazy Nezumi Pro. Is there a super fast way to measure and be more accurate? I’m drawing straight from digital no real-life reference usage. I use half loops with my wrist to speed measure and plot points is that the wrong way? I just can’t seem to get 3 or 1.75 accurately. 3x is just 3 times the size of a comparable dimension… And for 1.75 since you are working from photos that simple, just divide up the base form (comparable dimension) into 8ths and use 7 of them to get 1.75 times.